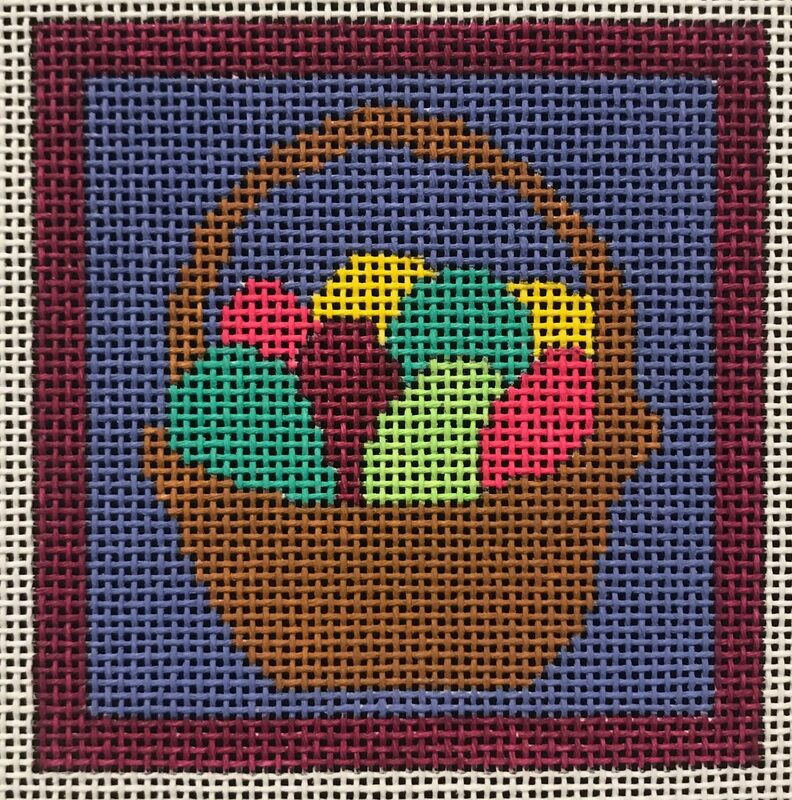 My upcoming class uses this delightful basket of Easter eggs from Little Bird Designs to teach you textured stitches. Using colorful threads from Rainbow Gallery you’ll learn great stitches that you can put to work in your future projects. It’s a class suitable for beginners that experienced stitchers would love. The class will begin in early April and will have three lessons. Included in the class fee is a complete kit with the canvas, a needle, and all the threads you need to complete the project, shipped by Priority Mail. All this, including the PDF class lessons for just $60! The class size is strictly limited and registration must close on February 15. That’s just over two weeks to sign up. If you’d like to take the class but prefer to pay another way, just send me an email using the address below. I hope you’ll join me for this great class. 3 inches square on 18 mesh. The design is 3 inches square on 18-mesh canvas. Please keep me in the loop on this egg basket project. I want to stitch it too!! Registration for the class is closed. However the stitch guide will be available in late May on Etsy.